Eighty new restaurants opened in Sacramento county last year. Openings outpaced closings by about 2 to 1. 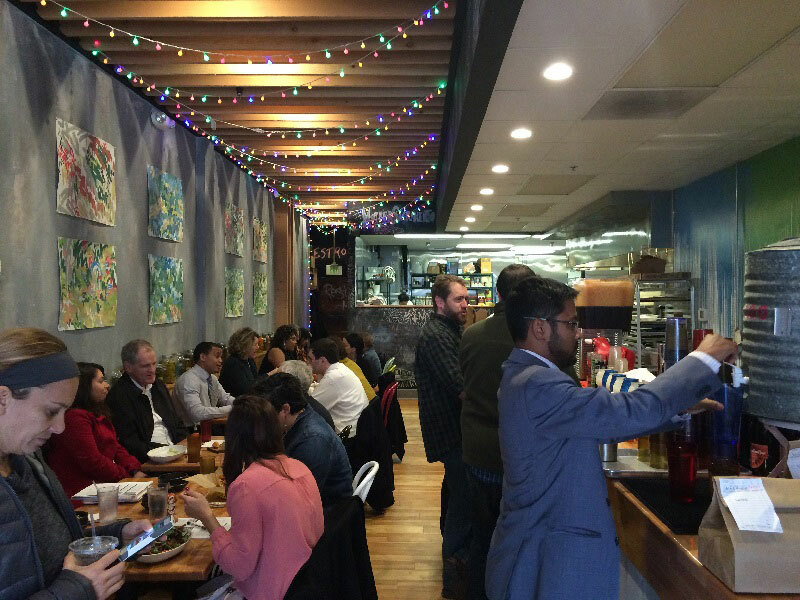 The daily lunch crowd extends out the door at Mother restaurant on K street. Customers hover around packed tables waiting for their orders. Menu highlights are squash latkes, farro salad and carrot burgers. The owner Michael Theimann opened the small vegetarian eatery last year to wild success. Theimann is now in the midst of opening a much larger establishment called Empress Tavern. "Sacramento is going through a bit of a culinary and restaurant renaissance," says Theimann. "It's just exploding." Theimann says he knows several other chefs looking to open a second or third location in the downtown core. He credits Sacramento's location as the fuel behind the food frenzy. He emphasizes that he could ride his bike to the farm where the majority of the restaurant's produce comes from in West Sacramento. Valerie Mamone Werder, the Sr. Manager of Business Development with the Downtown Sacramento Partnership, says the restaurant industry has improved each year since the bottom of the great recession five years ago. "When we look at sales data we see a pretty steady incline, and we're seeing our biggest jump yet this year," says Mamone Werder. There's also a healthy daily lunch crowd at Hot Italian. Patrons chow on fennel sausage and fresh ricotta pizza slices. Andrea Lepore opened the midtown pizzeria in 2009. "This last year was our best year ever," says Lepore. Sales were up nearly 30 percent in 2014. And, Lepore says she expects volume to stay high. "There's obviously some enthusiasm with the farm-to-fork movement, more housing, more jobs, and higher density in downtown and midtown," says Lepore. "But, there's also more competition." And the competition is tough. Popular spots like Restaurant 13, Tuli Bistro and Johnny Garlic's closed last year. But, 2015 looks bright. Diners are anticipating Brasserie, Amaro Italian Bistro, and Iron Horse Tavern.